Yesterday was the sixth anniversary of the passing of Captain Outrageous, a.k.a. Norman Taylor. Some people know that Norman Taylor, born in Ohio on April 13, 1940, changed his name legally to Captain Outrageous in 1999. He did so in order to have that name printed on that year's mayoral election in which he ran against four other candidates - and in which he finished in third place with only 339 votes against the winner, who had 3,125. It was a Quixotic campaign for the Captain, driven largely by the impending loss of his trailer home lot on Green Street to developers. 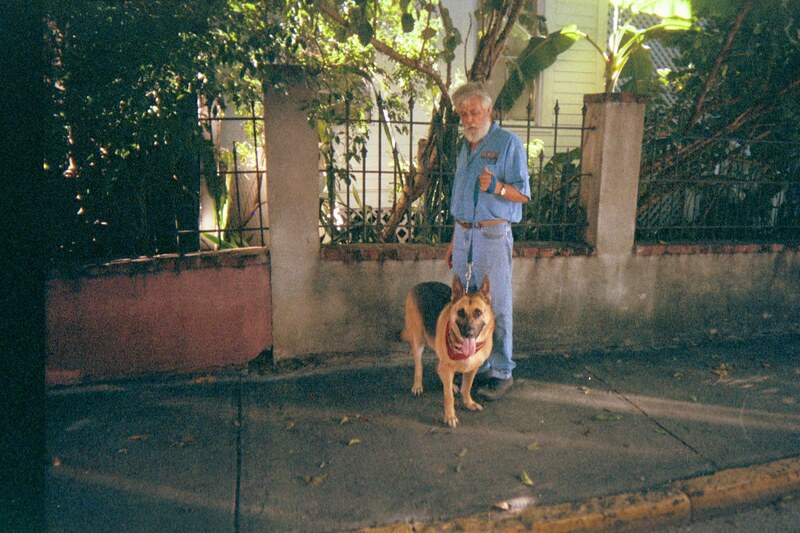 Taylor claimed to have come to Key West in the early 1980's as a dropout from a successful business career in Ohio. I know for certain that he was here in the 1990's because he opened and operated a small café, restaurant and bar on White St. called the Last Straw. But I've yet to meet anyone who knew him in Key West prior to the 90's. At any rate, yesterday was a day of remembrance for me and a few others who were his close friends at the time of his death. He was my age, 4-1/2 months younger. We got along well and spent many days and hours working together at the art gallery he opened on Caroline Street around 2004. The times we spent working side by side were often punctuated by discussions about many things philosophical in nature. I believe that we were mentors to each other in a variety of ways and that we both gained something from our relatively short (two years) friendship. So yesterday was a day to remember those times and to honor the memory of a good man. 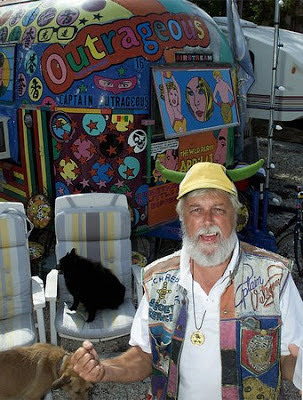 I wish I could have meet Captain Outrageous - I've visited Key West at least once a year since 1994 and always admired his brightly painted works. Lo and behold, I found a telephone he had painted in the thrift store on Center street a couple of years ago. Thanks for the essay - he seems to have been an excellent man. We really enjoyed this post, thank you for writing it!